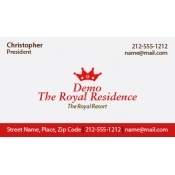 Resort business card magnets are hot promotional items sought by resorts for promoting their business because they offer great exposure at low investment. 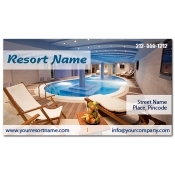 Produced on a high quality stock material, these hotel and resort magnets are perfect for stocking and stacking. Being lead-free and made in USA, hoteliers, resort owners and holiday marketers can flaunt their American pride with ease. 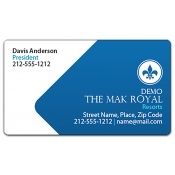 Promotional fridge magnets with business cards make one brilliant promotional gift for all occasions. Tourism industry has faced a sharp decline by the end of 2010 and it has forced major resorts to develop sharp promotional strategies to promote their business. According to Travel experts in US, international travel to US suffered a setback by 4.2% in 2017. Because of this sharp decline, resorts are honing their marketing strategies to reposition their brand, to attract new set of customers or revisiting customers and improve their revenues. They have realized that smart marketing always wins over traditional marketing in many ways. Along with other promotional medium, they are largely going for promotional magnets. 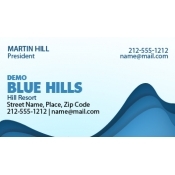 Resort business card magnets are one of the most ordered items on our website since last few years. Being lightweight and attractively priced, most resort owners are considering it for bulk mailing and as a giveaway during travel shows and other travel related events. 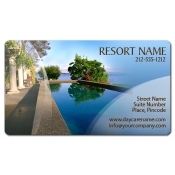 Our selection of resort business card magnets features bestseller marketing business card magnets sought by resort owners. This categorization has evolved over the years and we have taken care to update it from time to time by adding new products. Resorts, hoteliers, and holiday marketers can consider these custom magnets as favors throughout the year because business cards never go out of fashion. We offer free art setup, free online design proof, free shipping anywhere within the contiguous USA and free full color printing. In short, marketers can gain on customization, efforts and extreme brand exposure with this investment. Our team can help resort owners to design their artwork from scratch. If they possess an artwork, they can share it with us at art@Cmagnets.com or they can upload it at the end of the product upload page. 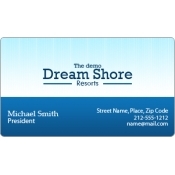 To know more about customized resort business card magnets or any other promotional magnets, marketers can easily reach out to us at info@CMagnets.com or 855-762-4638 (Toll Free).